It’s Budget Time and this year may be different for many marketers as expectations of “marketing revenue management” have increased. 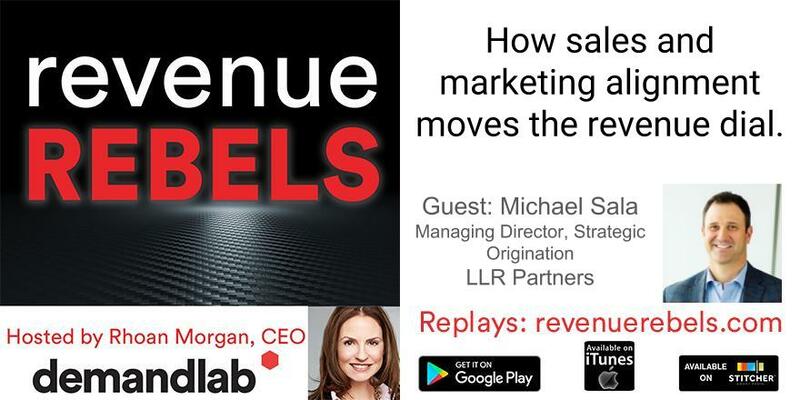 In this interview with Christopher Ryan, CEO of Fusion Marketing Partners we cover the 8 significant components to increase the lead to revenue conversion for B2B companies. The results are based on Fusion Marketing Partners annual research survey of 1400+ sales and marketing executives. The host is Jim Obermayer. 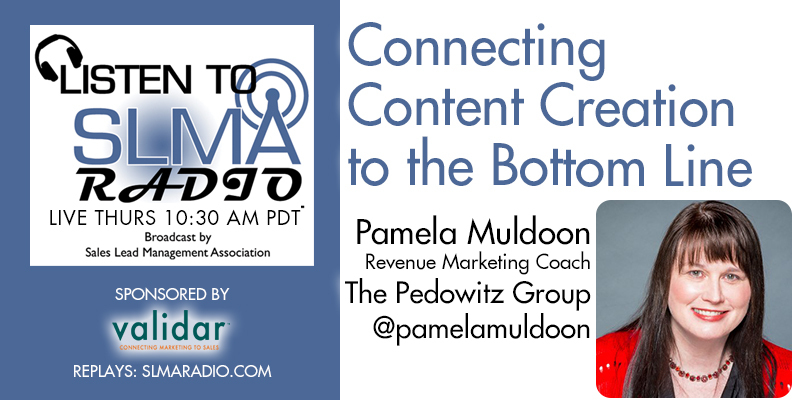 Show airs Thurs January 19 10:30 am. 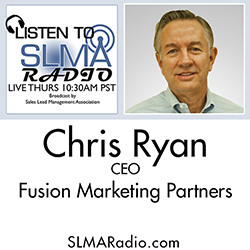 Chris Ryan has 25 years of marketing, technology, and senior management experience, and is a widely known expert in B2B marketing, lead-to-revenue modeling, sales strategy, and business startups. As both a services provider and in-house marketing executive, Chris has played a transformative role in driving marketing and sales programs that achieve the desired results and create alignment and synergy between the sales and marketing operations. 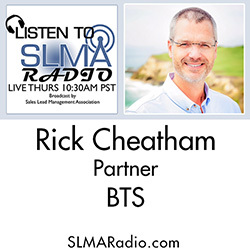 Chris is known as an outstanding communicator and has presented keynote addresses and breakout sessions at numerous conferences on marketing and technology. For three years, Target Marketing magazine named Chris as one of the Top 100 U.S. Marketers. Chris has written four books on marketing and information technology, including the recently published Winning B2B Marketing. Host Jim Obermayer interviews Aaron Ross, best-selling author of Predictable Revenue. Ross reaches back into his experience at SalesForce.com to share a method he has created to allow any company to create predictable revenue. Aaron Ross is the #1 best-selling author of Predictable Revenue: Turn Your Business Into A Sales Machine With The $100 Million Best Practices Of Salesforce.com (called by Inc.com the “Sales Bible of Silicon Valley”). 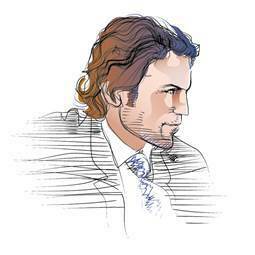 His consulting company, Predictable Revenue Inc., helps companies with sales teams double or triple their growth. Before Predictable Revenue, Aaron worked at Salesforce.com, where he created a revolutionary Cold Calling 2.0 inside sales process and team that helped increase Salesforce.com’s revenues by $100 million. Aaron graduated from Stanford University. He lives in Los Angeles with his wife and four children (also expecting a new baby in June 2014, loves motorcycles, and he keeps his work to 20-30 hours a week. 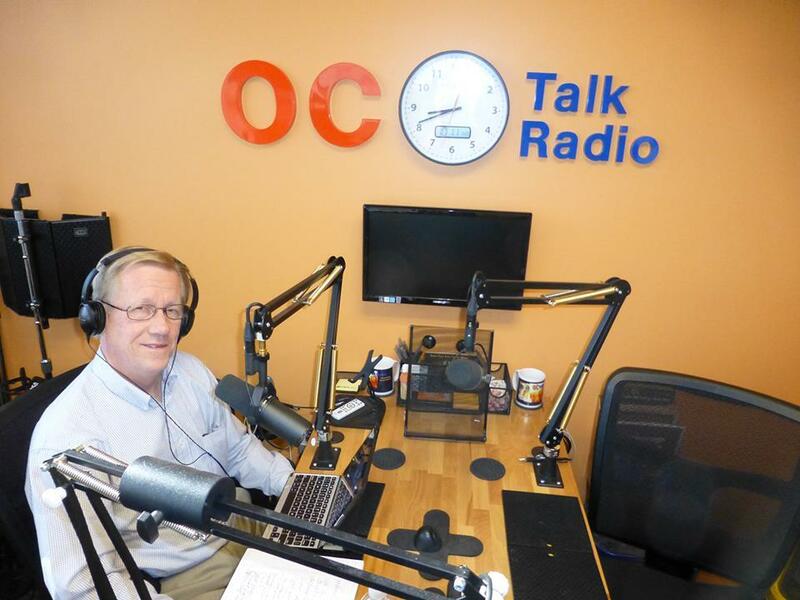 Host Jim Obermayer discusses with Paul Roberts of OC Talk Radio, about the compensation programs for CMOs. 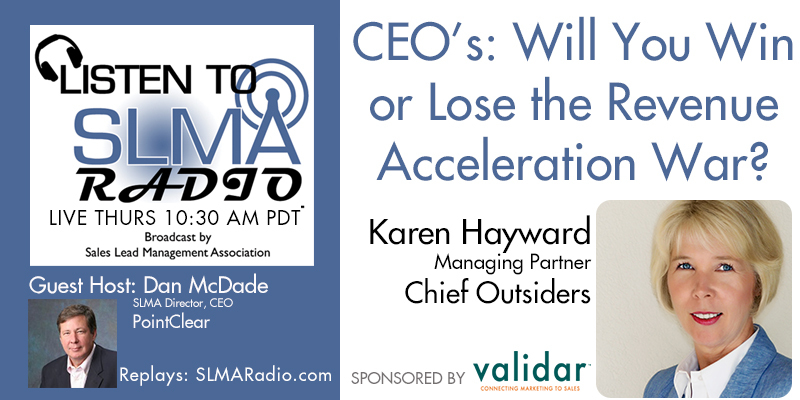 Plus as a bonus, Obermayer brings interviews from the Integrated Market Summit Conference (January 30-31st in San Diego). 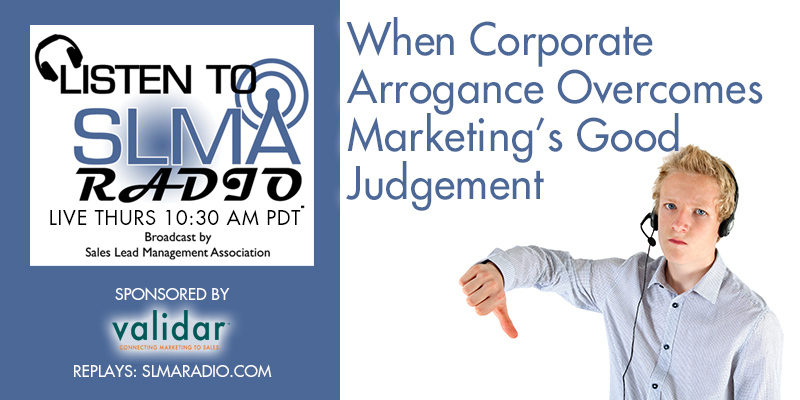 He interviews Shawn Ellridge, Shawn Flaherty of ITX Corporation, Mac McIntosh from Acquire B2B, Jennifer Allen from Victor Marketing, and Julie Newmark from Outward Media Inc.
Obermayer said that this summit was unusual in its choice of topics. There was a keynote by the venerated Don E. Schultz interesting presentations by Shelly Kramer of V3 Integrated Marketing, Michelle Killebrew of IBM Social Business. Aaron Bolshaw of Act-On Software, Audie Chamberlain of Realtor.com., Nicholas Muldoon from Twitter, Eric Holtzclaw of Laddering Work’s, Matt Hertig and Michelle Jacobs of Alight Analytics, Tim Ash of SiteTuners (Your baby is Ugly) Roy Pun from Adobe, Amanda Kahlow of 6Sense Insights, Pam Didner of Intel. If you missed IMS, it will appear in Atlanta, Minneapolis, Cincinnati, Raleigh-Durham and Austin kin the coming months. 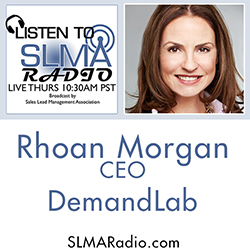 SLMA Radio Host Jim Obermayer interviews Debbie Qaqish, author of "Rise of the Revenue Marketer." 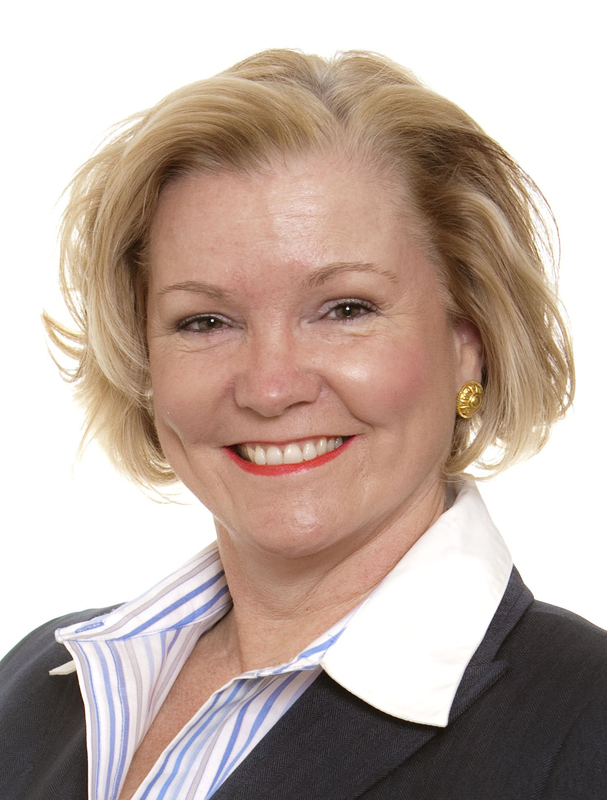 Debbie was driven to write book by the question increasing asked by marketers, "What are you going to do about revenue?" Obermayer will ask Debbie about the Revenue Marketers she knows that have made a difference. Why do marketers welcome revenue responsibility? Does she recommend that marketers should be paid on revenue. 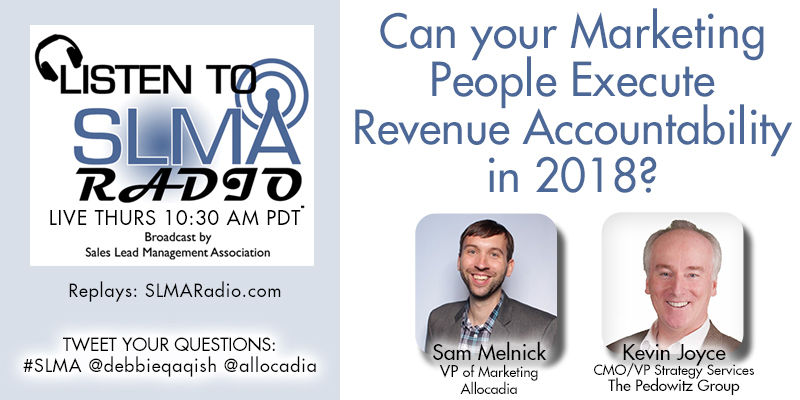 What are the metrics a revenue marketer should track other than the revenue goal? How long does it take to become a Revenue Marketer?